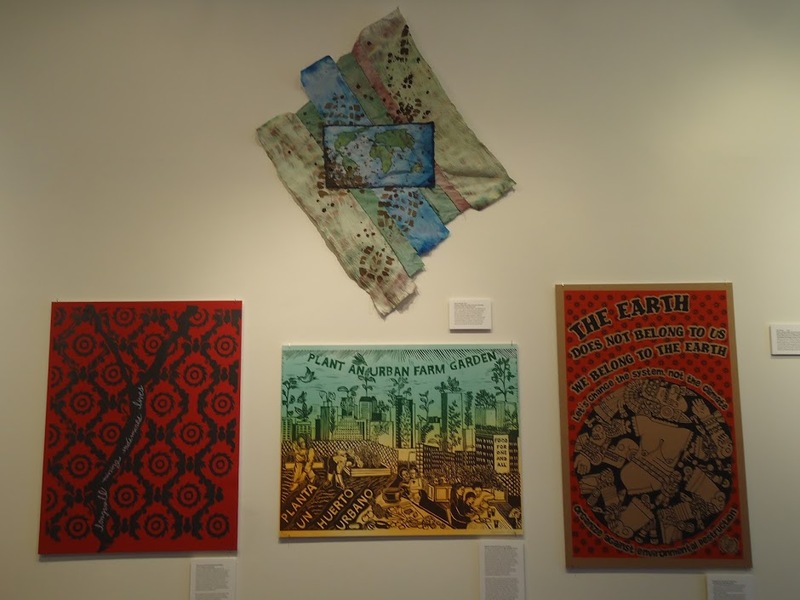 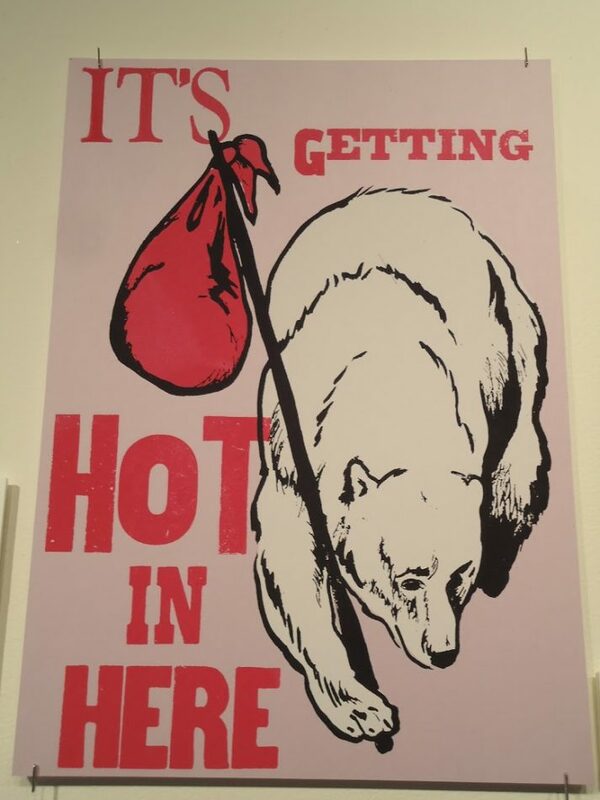 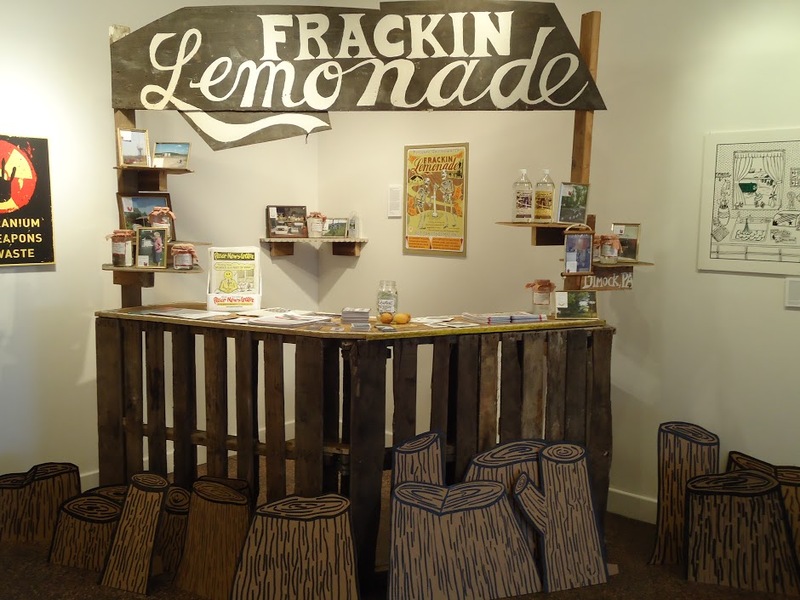 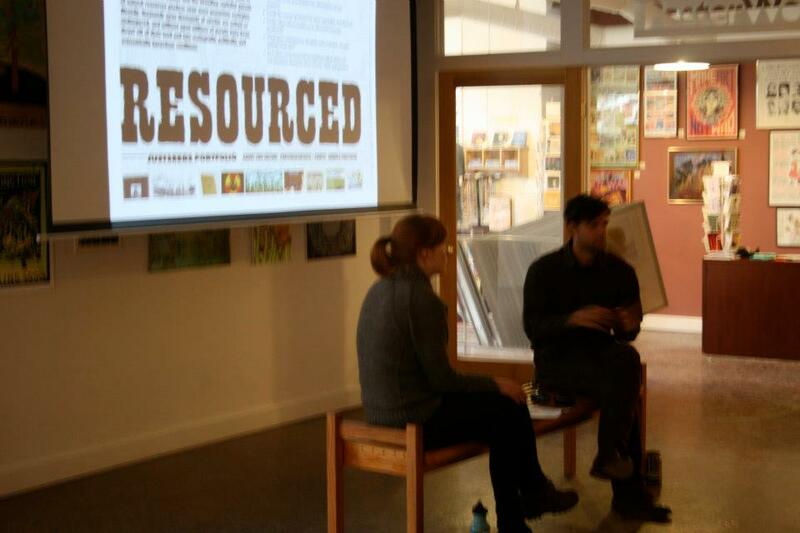 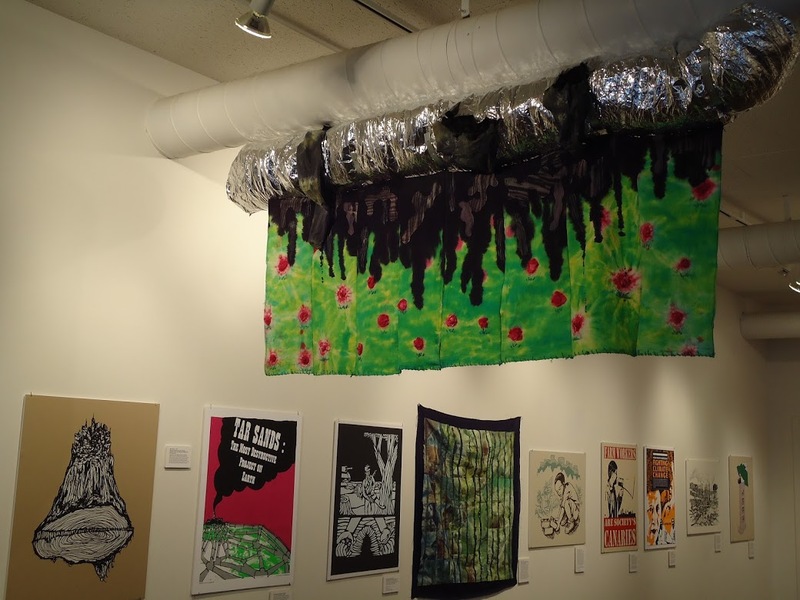 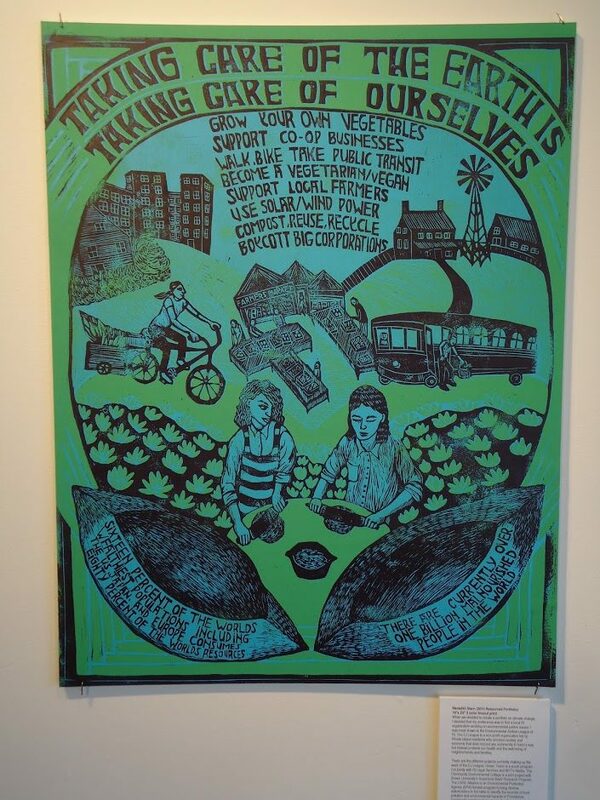 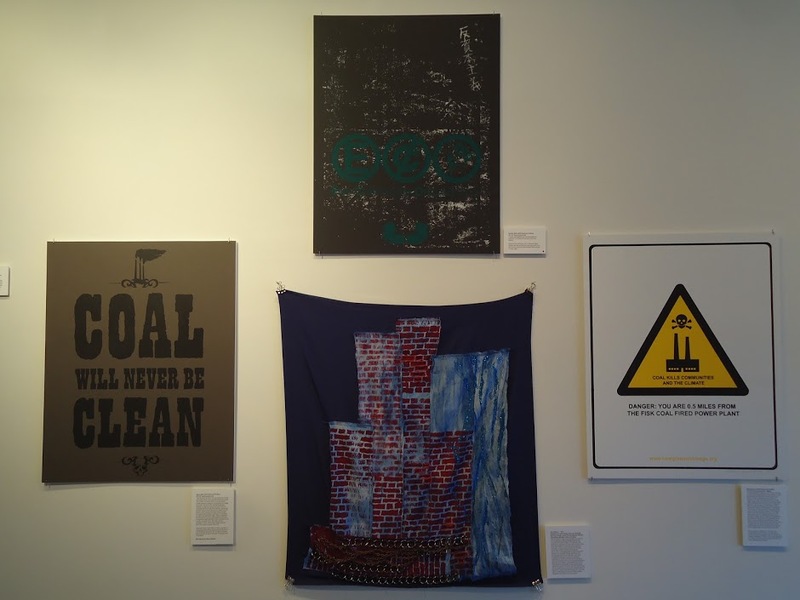 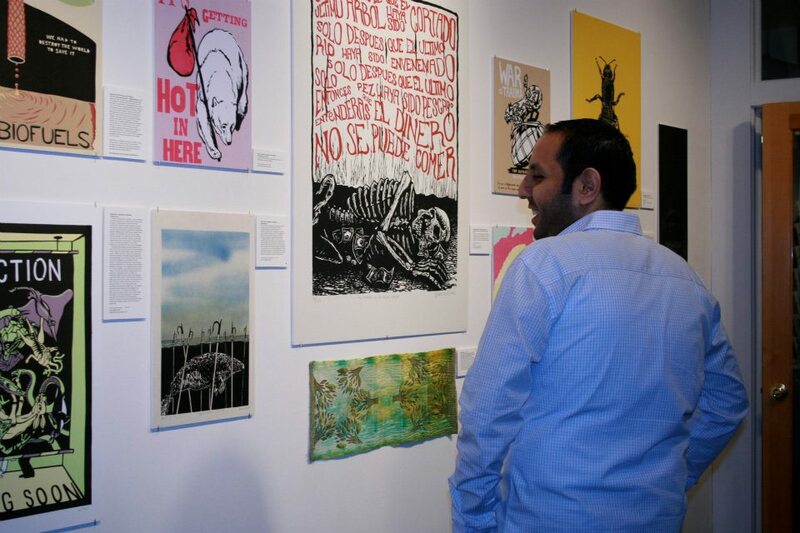 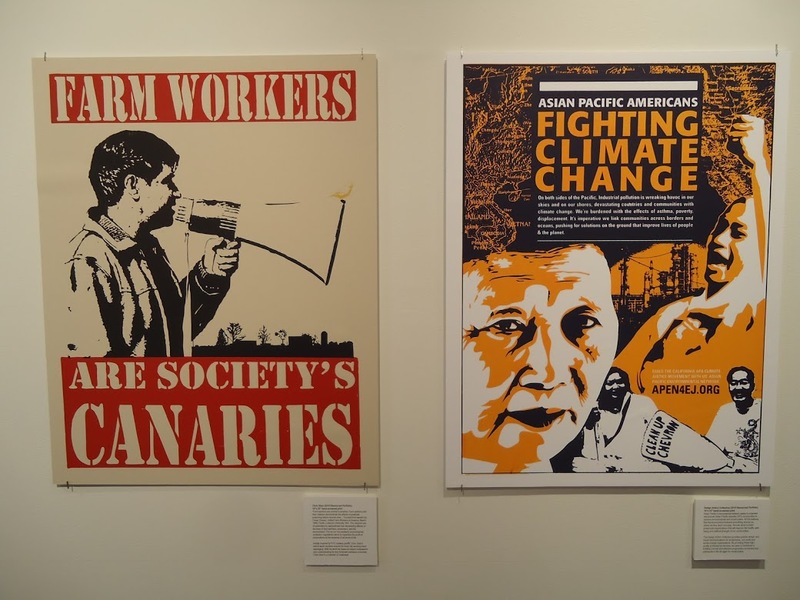 hand-produced prints organized and created by the Justseeds Artists’ Cooperative in 2010, focusing on resource extraction and climate issues, which was used to help ask important questions about our environment. 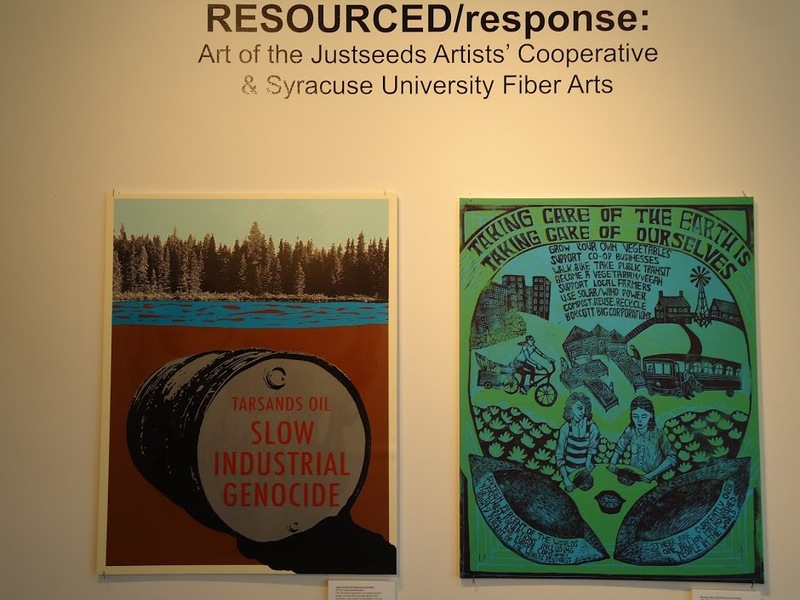 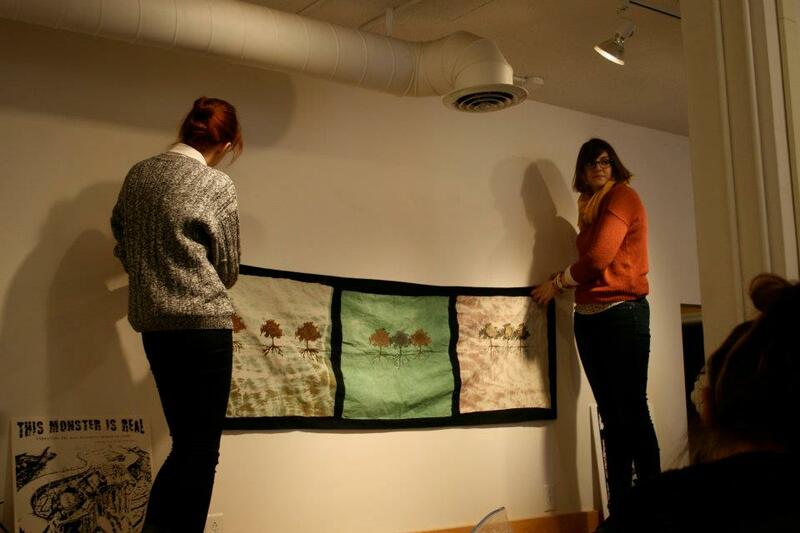 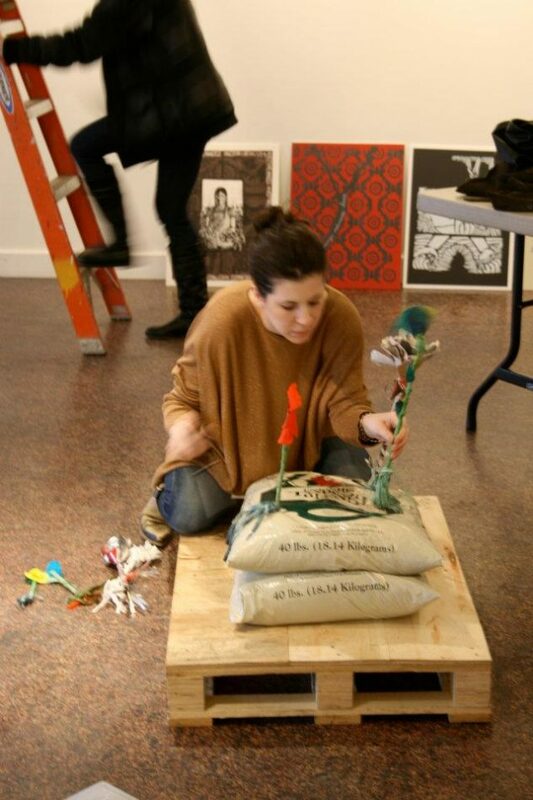 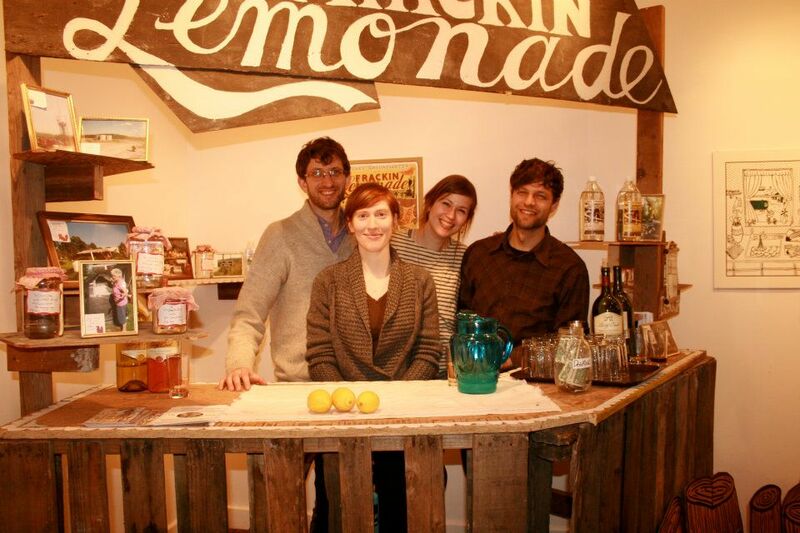 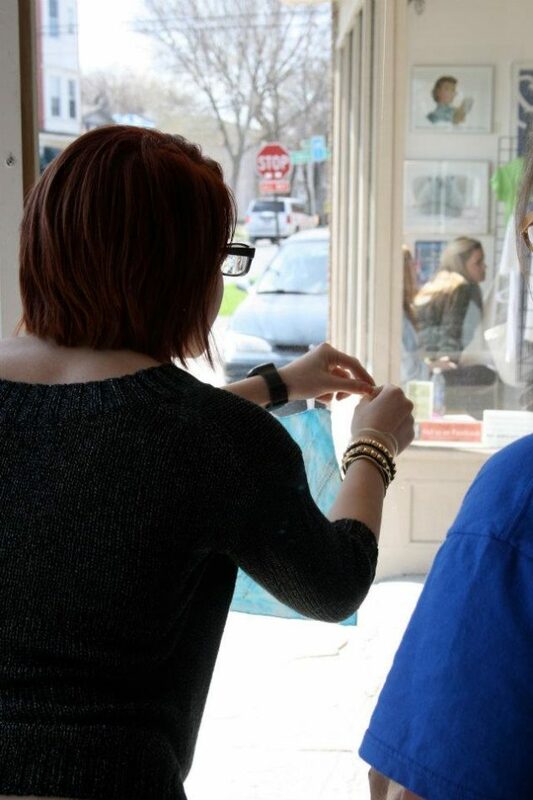 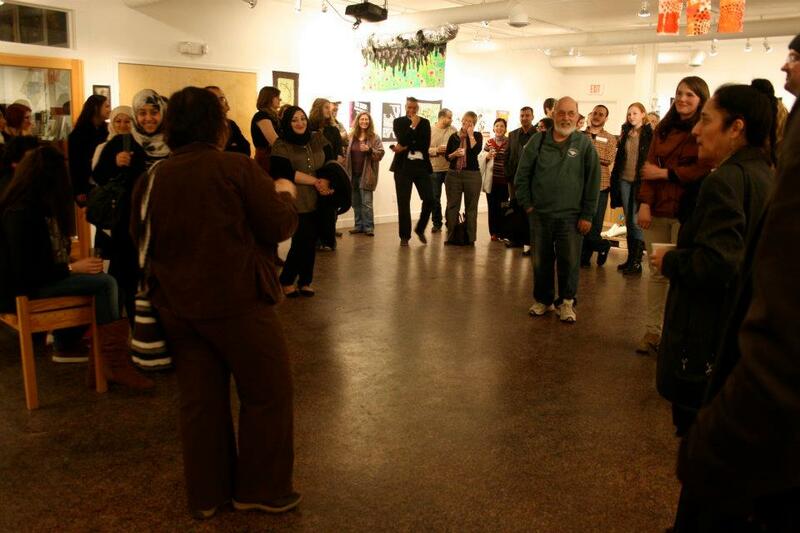 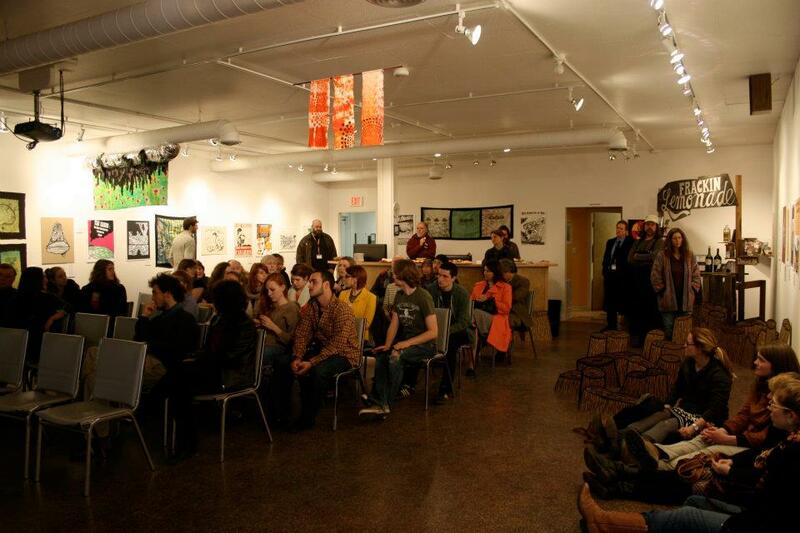 At the beginning of the spring semester 2012, students from the Introduction to Fibers course at Syracuse University viewed images from RESOURCED. 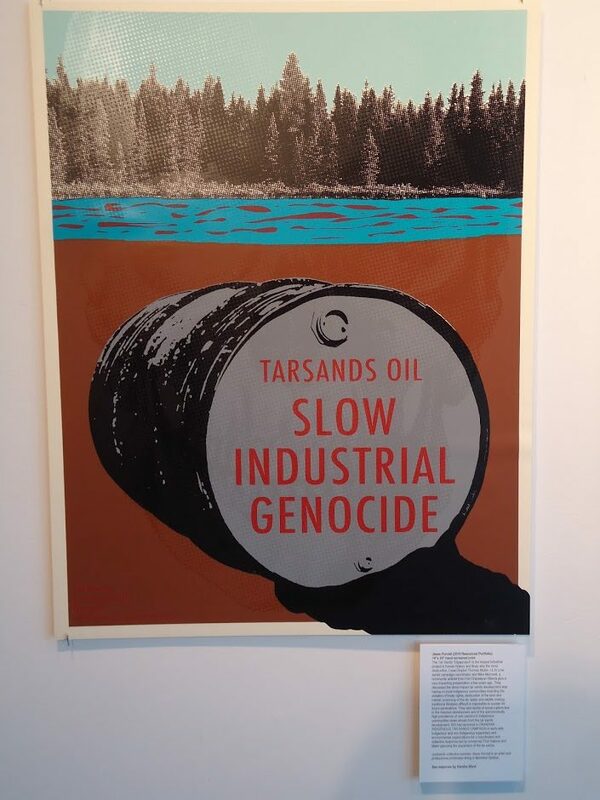 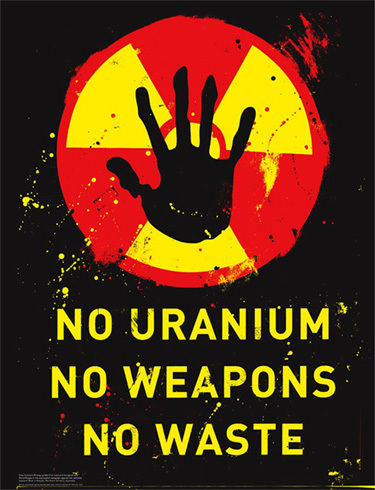 Students selected the poster of most significance to them, either for the visual content of the work or the environmental issue it addressed. 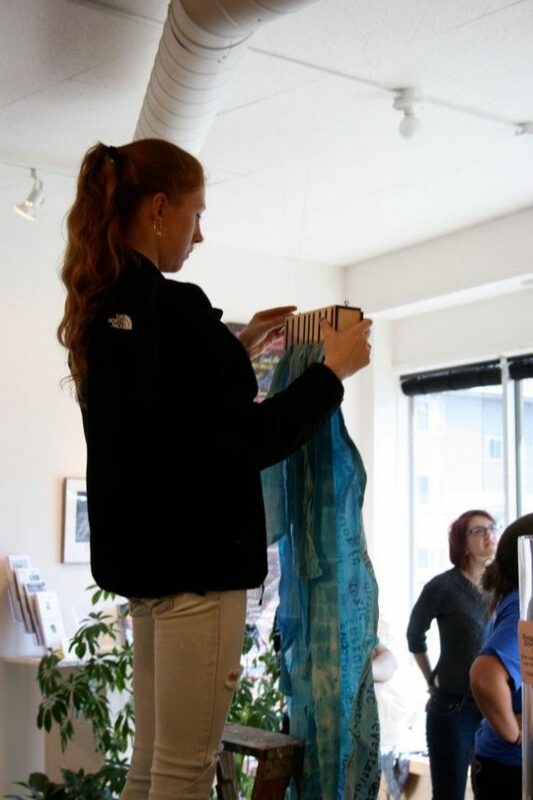 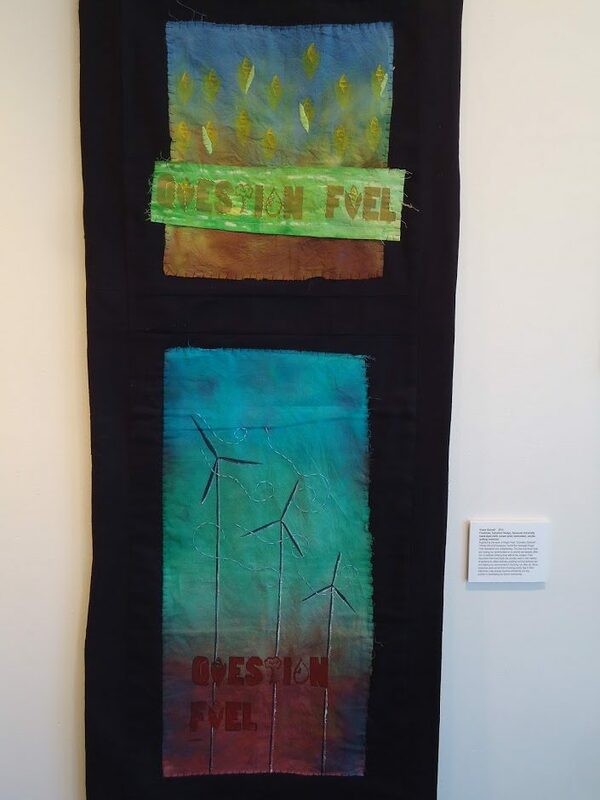 Then each student created a hand-dyed textile in response to the original work, using a variety of dye techniques, relief printing techniques and methods of stitching. 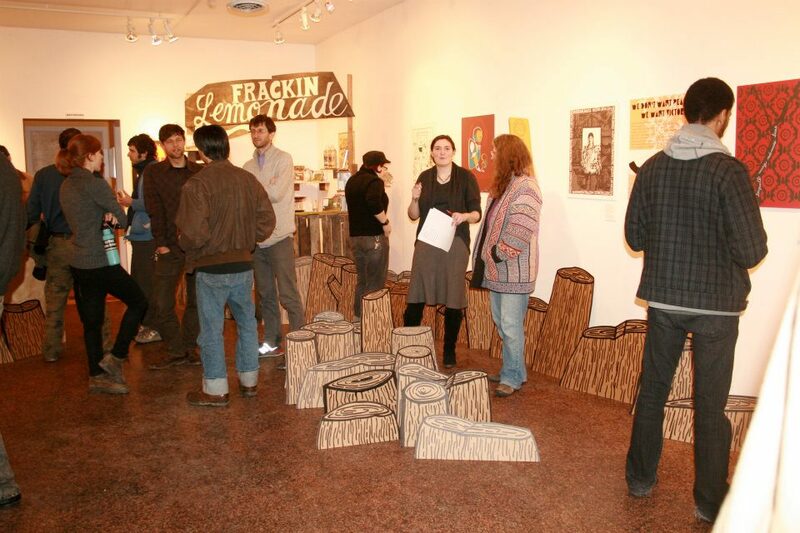 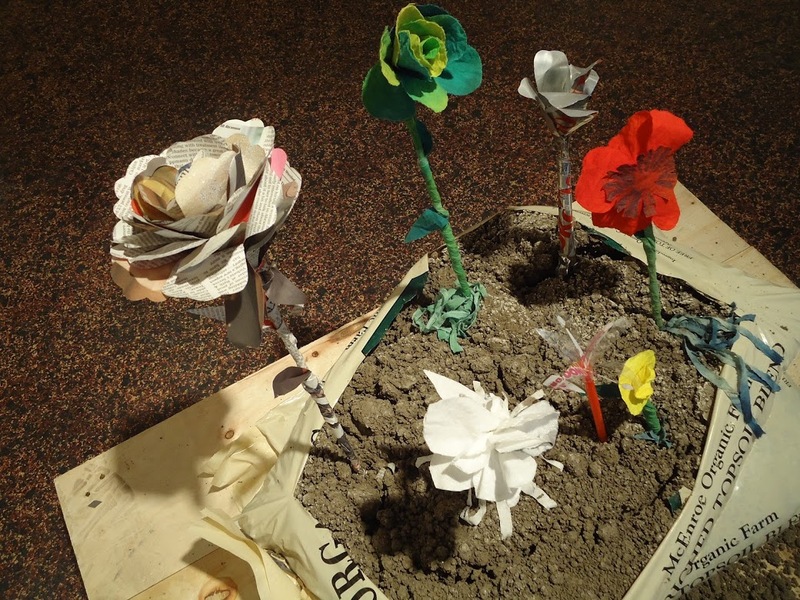 These techniques were both applied traditionally and adapted to suit the students’ intentions and individual visual language. 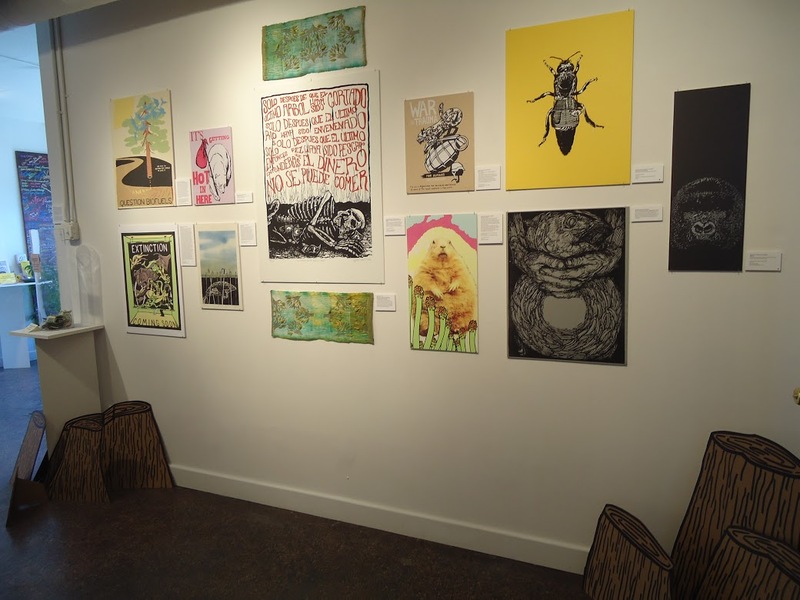 As a special addition to this exhibition, ArtRage featured the artwork of students from Clary Middle School in our gallery windows. 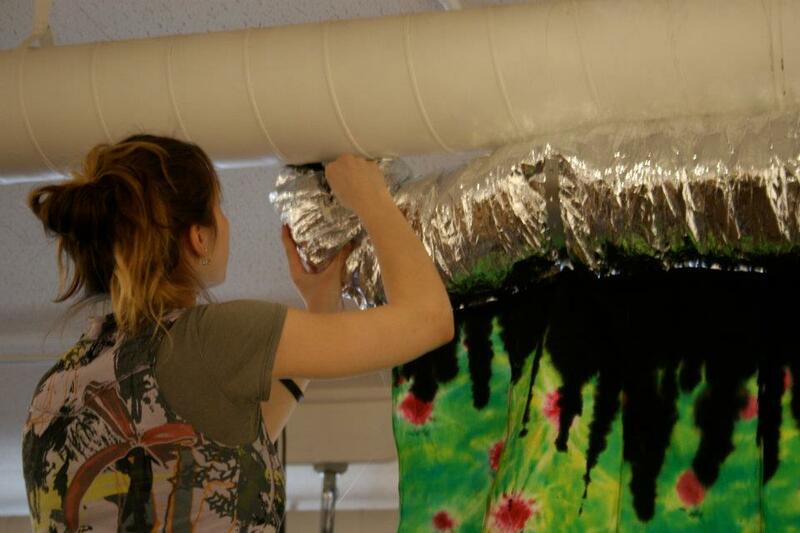 We called it the Greening our Future Poster Project. 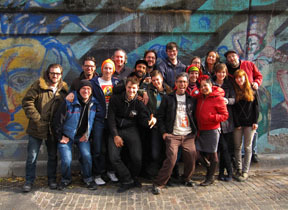 The class was taught by Adam Simeon and they were mentored by teaching artist Diane Menzies. 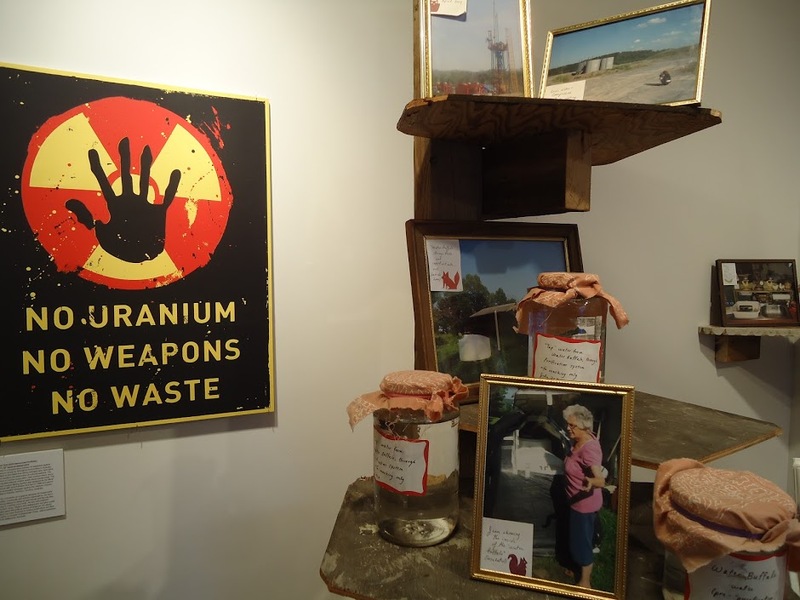 This project was made possible with public funds provided by the New York State Council on the Arts and administered through the Cultural Resources Council.